Ideal for those who live in studio apartments, the HomCom 5 Position Folding Sleeper Chair is a chair that folds out into a bed. Made from top quality faux suede, it is ultra soft and full of comfortable foam. 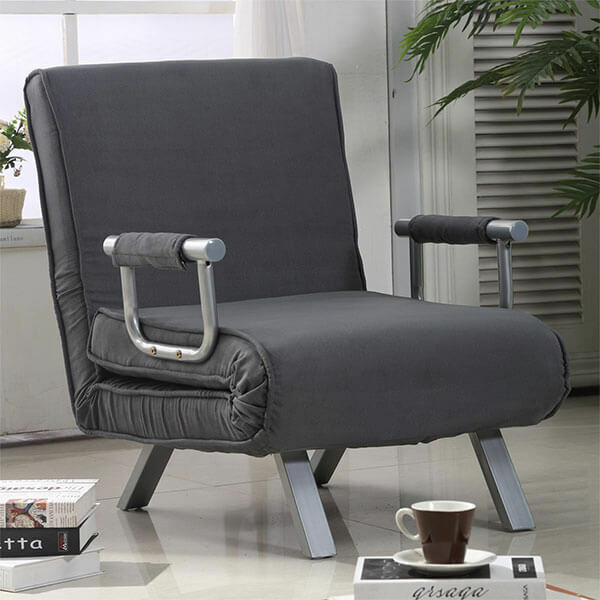 Its backrest has five adjustable angles to choose from. Tufted and modern, the Merax Folding Lazy Sofa Floor Chair Sofa Lounger Bed is a comfortable chair bed better suited to smaller spaces. This bed measures 65 inches in length by 20 to 28 inches in width by 4 inches thick for a comfortable yet compact bed. Meant to look like a standard arm chair, the Intex Pull-out Chair Inflatable Bed is an inflatable chair bed that is ideal for any small living space like a studio. This twin sized chair bed measures 42 inches by 87 inches by 26 inches in size. Bed dimensions when unfolded: 6″ Thick x 32″ Wide x 70″ Long. 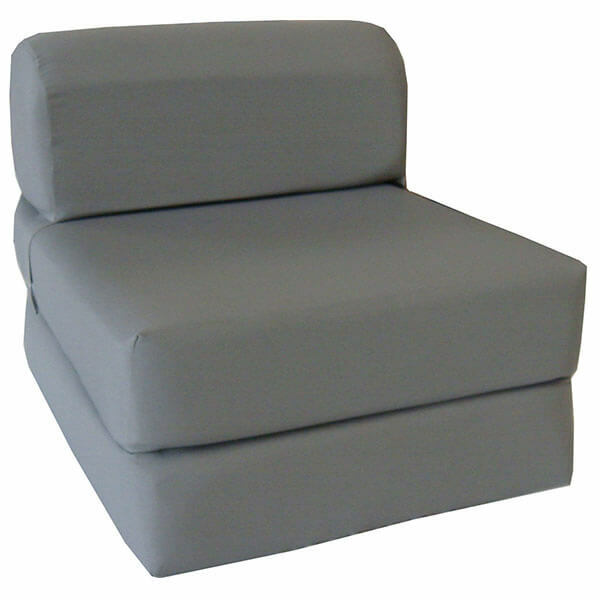 The Gray Sleeper Chair Folding Foam Bed is an ultra modern chair bed with no arms or legs. Made from 100 percent polyester and filled with foam, it is simple to clean and comfortable as well. When unfolded, this bed measures 6 inches in thickness by 32 inches in width by 70 inches long. 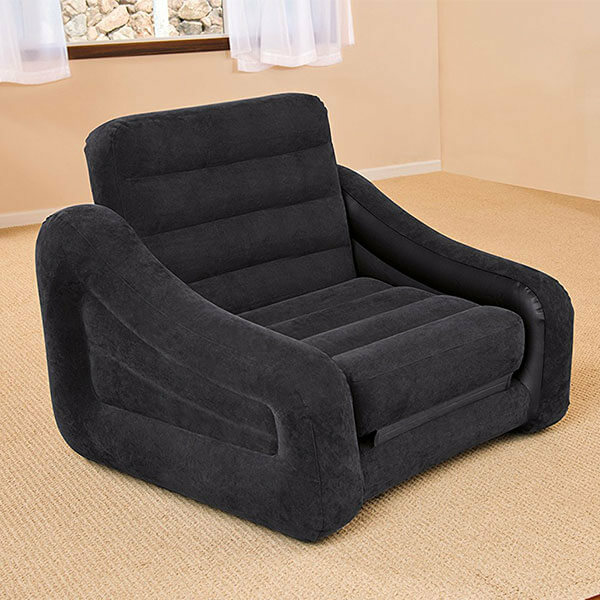 The Flip Chair Convertible Sleeper Dorm Bed Couch Lounger is an ideal bed for those who are limited on space. It features soft ultra suede material and comes with non-restrictive arms. 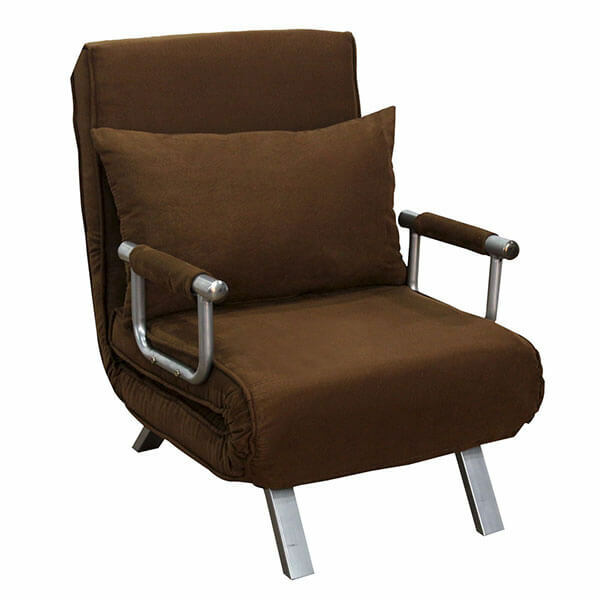 This flip chair is available in several colors and is 79.5 inches long when unfolded. This mid century modern chair bed is able to fold into a chair, chaise lounge or bed. It has an ultra soft microfiber exterior that offers sheer comfort during your rest. 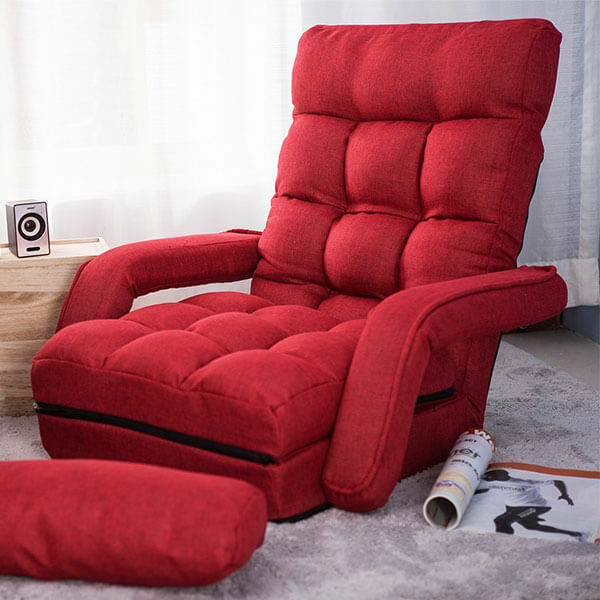 The armrests move away when you are using it as a bad, and a soft pillow has been added.